The internet is a great tool for our children to use for research, education, personal interests, and to socialize with friends. Unfortunately there are many grave dangers of the internet that compromise family safety that parents need to be aware of. One of the major internet dangers is the presence of the online predator. If your kids are using Facebook, then predators already have access to your child. Studies show Facebook as the world's #1 place kids congregate in the millions. 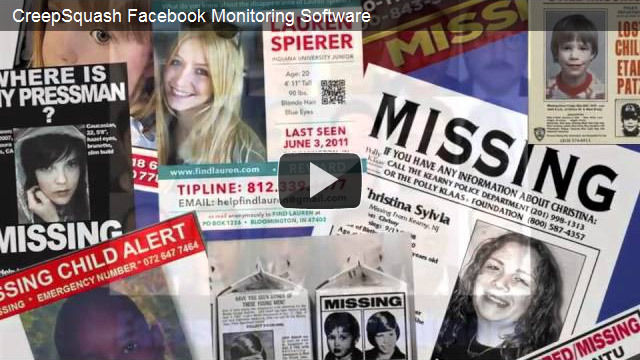 Facebook is also the most common place online predators seek out their victims. Most predators set up phony profiles to lure children in. Parents want to know about internet dangers and potential threats to kids. Every parent wants to ensure their children are safe from dangers of the internet. 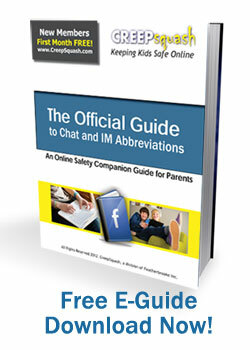 Online family safety starts with awareness. There is a 50 percent chance that if your child is in an online community, the stranger he or she is talking to is a sexual predator with a phony profile. The most common practice of sexual predators is the use of private messaging, instant chat rooms, and the webcam to make advances towards their victims. 75 percent of our kids are willing to share personal information with a stranger on the internet, exactly what predators look for. 70 percent of victims of internet predators are female. That means the other 30 percent are boys. See online creeps in action with To Catch a Predator on NBC Dateline. The documentary style television show depicts the harsh realities that parents face every day. Facebook is often the first point of contact and Creepsquash is the sure way to stop them in their tracks. "The freedom to connect to the world anywhere at anytime brings with it the threat of unscrupulous predators and criminals who mask their activities with the anonymity the Internet provides to its users."